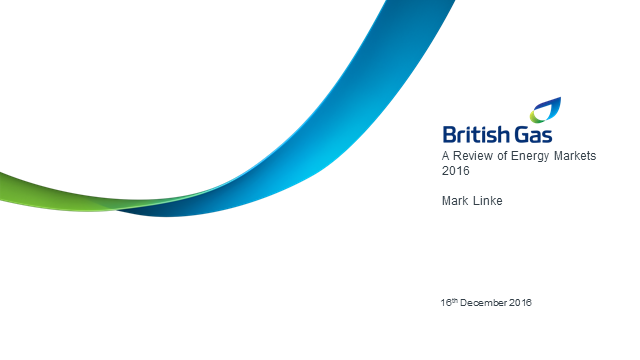 A review of energy markets in 2016: How have macroeconomics, geo-political uncertainty and the increasing globalisation of energy markets impacted UK Gas and Power Prices? Mark will also look at the possibilities for 2017 and what large end users should look out for. Increasing commodity and non-commodity costs amidst a back drop of unprecedented economic uncertainty means that revisiting your energy buying strategy is more important than ever. A robust energy strategy, executed well, will give your businesses long-term cost and carbon savings, it will shelter you from rising commodity and non-commodity energy costs and provide you will revenue generating opportunities. In this webinar, we will share our top five essential steps for developing a future-proofed energy strategy that can handle anything 2019 throws at it. You will also hear from Inenco customer, Ibstock, who will share first-hand experience of how an effective energy procurement strategy helped their business achieve a competitive advantage, despite a changing and challenging environment. The webinar will explore all elements of the energy strategy, from choosing the right procurement tools through to optimising your consumption patterns. How can a better approach to energy management help NHS organisations to deliver the Ten Point Efficiency Plan? Bottom lines in NHS Trusts take a direct hit every time energy costs rise, forcing organisations to direct an already-stretched budget away from front line service delivery. Many choose to fix their energy prices annually, but taking a different approach to procurement can provide greater budget certainty and create opportunities to better control energy price inflation. Looking afresh at energy consumption can also unearth real optimization opportunities and the chance to control overall costs. 4.Five essential steps for identifying saving opportunities, prioritising them and developing investment cases based on short pay-back periods. On site energy centres can provide long-term cost and carbon savings, sheltering large energy users from rising energy costs and boosting sustainability through low carbon generation. Industrial sites and commercial property infrastructure are playing an increasing role in the decentralised energy system but technology is rapidly evolving, and no one solution suits all users. Businesses face a myriad of choices, from on-site heat and power generation and waste heat recovery to peaking plant to provide export services. In this webinar, Stuart Reid and Mark Tarry from AMP Clean Energy will explain how businesses can still benefit from the transition to decentralised energy, despite a changing subsidy environment. The webinar will consider what options are available to businesses looking to explore a switch to on-site generation, from choosing the best low carbon technology for your site’s needs to overcoming financial obstacles to secure investment. You’ll also hear real-life examples of how the installation of an on-site peaking plant is helping a commercial property developer attract new tenants and how award-winning British grower Villa Nursery’s CHP plant has reduced their gas spend by £200,000 per annum, and the rewards they have reaped since its installation in 2017. AMP Clean Energy provides businesses with low-carbon heat and power solutions, with significant funding available to invest over the next five years in low carbon and clean tech energy projects. With investment in over 120 low carbon assets, their tailored solutions for high volume heat and electricity users provide long-term cost and carbon savings through fully financed, turnkey solutions. Our webinar will take you through Ofgem’s proposed changes to the way in which major Network Charges such as Transmission Network Use of System (TNUoS) and Distribution Use of System (DUoS) are calculated. We will also look at the scenarios under which energy users may benefit under these major changes– and which may face cost increases. ESOS Phase 2 – are you compliant? Now is the time to start thinking about ESOS Phase 2, become compliant and avoid fines of up to £235,000. This webinar will highlight what you have to do for ESOS Phase 2 and ensure that you hit the deadline of 5th December 2019. You may think that December 2019 is a long time in the future but your data preparation period began 1st January this year. So make sure that you tune in for Adam Pigott & Liz Morgan, Kinect Energy and Pri Shrestha, Energy Live News as they take you through the seven easy steps to ensure your compliance. To sign up for this exclusive webinar, click on the ATTEND button in the panel below. Simon Farr and Andrew Donald from Centrica Business Solutions discuss the findings from the Energy Advantage Report which spoke with over 1,000 respondents from six countries on their organisations’ attitudes to energy. See how energy leadership has business benefits and those taking the lead are gaining a competitive edge. Understand the ways to improve your energy efficiency and operational performance through the adoption of distributed energy solutions. The Targeted Charging Review (TCR) and the Reform of Access Arrangements & Forward-Looking Charges proposed by Ofgem could be the largest ever changes proposed for Network Charges since market start-up. We would like to share with you what we know about these proposals so far and how you can make your voice heard in these discussions. There will be impacts (many companies will be charged more, some will be charged less) and we at npower Business Solutions want to ensure business customers have all the relevant information. Tim Barrs and James Dow will discuss the market context, technical considerations together with the business case and potential revenue streams of a battery storage installation. As more businesses are beginning to feel the true impact of not having a dedicated Energy Resilience strategy, learn about the practical steps you can take to ensure your business is more energy resilient. •How do I know if I am resilient? •What do I need to do? Join ELN's Pri Shrestha and Tim Wynn-Jones, Centrica Business Solutions as they take you through it. Controlling your gas and power budgets through flexible procurement contracts? Well now you can for liquid fuels too: total fuel budget control. If you’re worried about your strategy for liquid fuels, Julian Keites of Kinect takes you through the new thinking on fuel price risk management…..and how you can make significant savings. With emerging technologies, changing regulations and increasing pressure from the boardroom to help meet organisational goals, being an effective energy buyer has never been more challenging. However, one thing remains core – getting the right supply contract for your business. Aimed at the energy buyers who want to make sure they are covering all of the basics, Total Gas & Power will highlight what you need to know and why. Viewers will also receive a complimentary copy of the MEUC’s Contracting for Power and Gas training guide. We will be running a special webinar on 31st March at 10 a.m.
Non-commodity charges are going up and are becoming a bigger part of your energy bills. The expert team from British Gas will join Chief Reporter, Pri Shrestha to discuss what’s changing and how you can start to alleviate these charges. Mark Roberts works for the National Trust as an internal consultant on water. His role is to provide their properties with advice and guidance on all aspects of water across the properties including key items like mains water usage, private water supplies, private sewage systems, flood risk and sustainable drainage. He is passionate about the environment and is keen to improve the way the organisation manages water and reduce the impacts it has on the local water environment. Mark will discuss how to baseline and monitor water and then look at wider aspects of water including the deregulation happening in April. We will be joined by Jodi Robinson, VAS Operations Manager at Water Plus. She is knowledgeable in water efficient products and building tailored Water Management strategies to suit individual requirements. Jodi has over 15 years working in various consultancy and project managements positions. A big thank you for Fit for the Future helping to pull this all together. Giles Hankinson the CEO of Utility Aid, Michael Dent, MD Inprova Group and Emily Groves, the MD of last year’s most trusted TELCA winners Indigo Swan join ELN Editor Sumit Bose for a robust chat on broker fees and reputation. Don’t miss it! With non-commodity costs making up the lion’s share of an energy bill, how can businesses manage growing network charges, fixed environmental levies and a Climate Change Levy set to double in the next three years? Inenco’s Matt Osborne and David Oliver will guide you through how non-commodity costs are forecast to change and outline strategies to mitigate them, from changing the way we think about risk management to unlocking flexibility in your business. Former Energy Secretary and now Chairman of Mongoose Energy, Sir Ed Davey talks to ELN Editor Sumit Bose about community energy, renewables and perhaps a dash of policy! Don’t miss this one! How do we build our way to the future when it comes to energy? Join Sumit Bose in conversation with Keith Waller, Senior Advisor, The Infrastructure & Projects Authority. Sumit Bose and Nick Boyle, CEO Lightsource Renewable Energy discuss the upswing of Private Wire PPAs and how large energy users can save money whilst getting secure and sustainable energy. Nick will touch on the benefits of these PPAs and how companies such as Thames Water have gone about using them. Sumit Bose and Neil Clitheroe, Global Retail Director, Iberdrola will discuss the implications of digitalisation, decentralisation and trust on the Energy Industry. Energy Live News is the leader in energy news and information. We started with a simple vision to cover energy across the board, fossil fuels or renewables, nuclear or cleantech we will bring the news to you wherever it is happening. We are independent, fair and engaging and listen to all voices across the sector. We are leaders in online TV for the energy sector and we bring you interviews and interesting filmed stories from across the UK and abroad and very proud to have won the BEST JOURNALISM prize at the 2012 Scottish Green Energy Awards. Energy is a complex business but we make it simple. Our aim is to explain the business of energy to everyone from the CEO of a multi-national corporation to the person who changes the light bulbs in your office. If you deal in the business of energy we communicate the issues that matter to you.